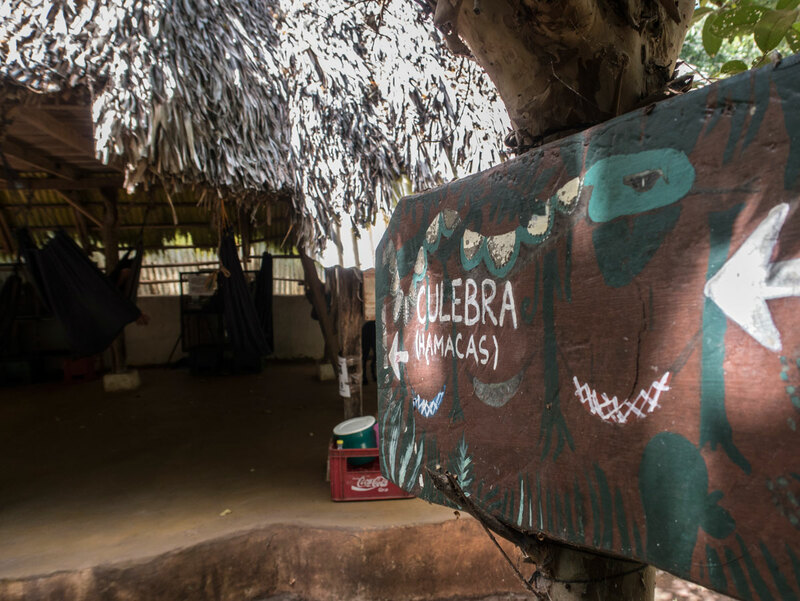 In the “Culebra” Hut, made almost exclusively from timber and bamboo from the Farm and with a roof covering made of Royal palm tree leaves, there are 5 comfortable hammocks situated on the ground floor. 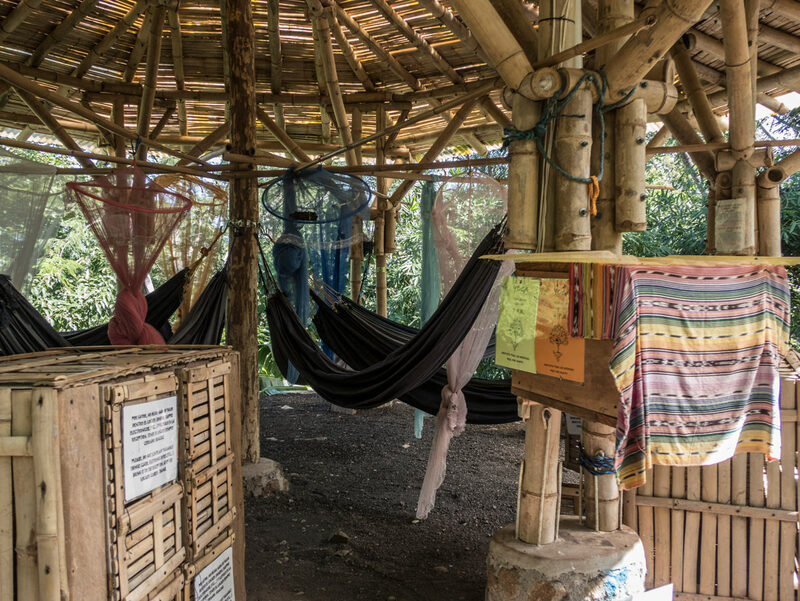 There are also lockers for baggage and mosquito nets each hammock. A good solution for those on a budget. 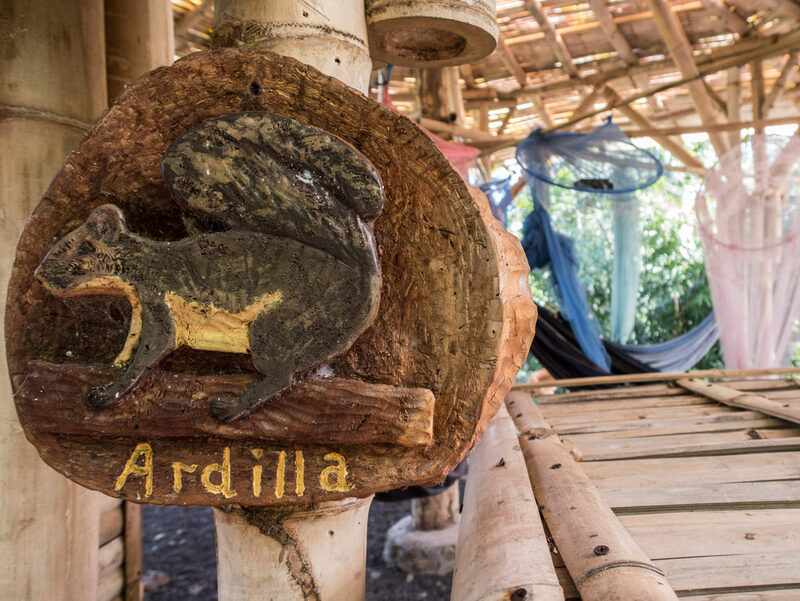 The “Ardilla” Hut is one of the newest buildings on the Farm , a beautiful octagonal structure made almost entirely with Bamboo grown on the farm and with the roof covered with live plants. 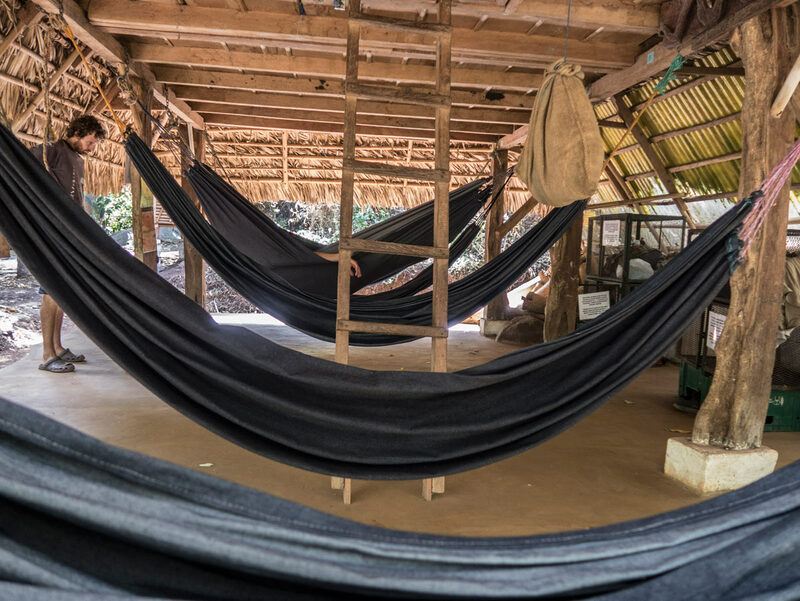 It has 2 comfortable hammocks. 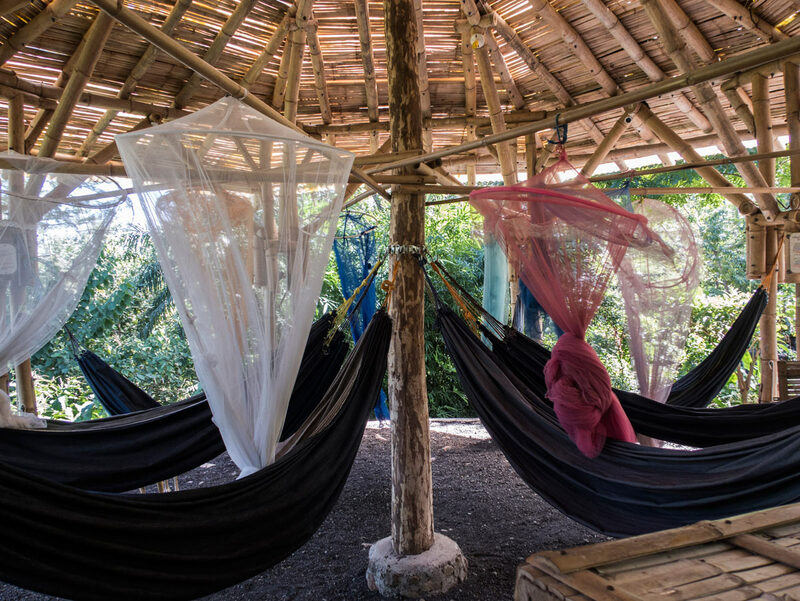 Another ideal solution for those on a budget. 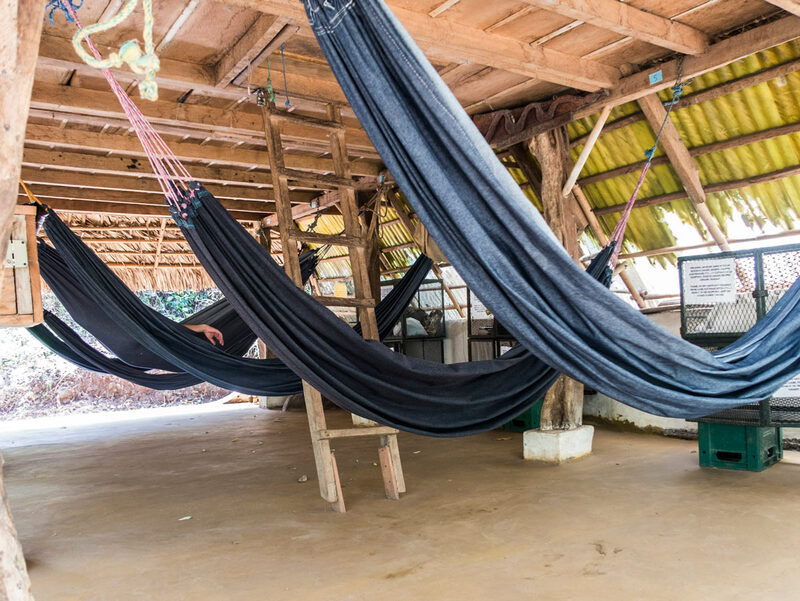 There are lockers for baggage and mosquito nets each hammock.